Your applications, online businesses, partners, and public resources are all producing much more data … greater volumes, from more sources. And you want to make effective use of that data. Some trends are in your favor. Data storage costs are dropping, and the Cloud offers ready processing power. Big Data technologies permit analysis of large and loosely structured data sources. But, time and money have never been under more pressure. You need results now. Quick data analysis. Targeted data analytics. Rapid business intelligence. DASHbay’s here for you. Our products and services provide solutions that run in the Cloud … or in your data center. We can help you get value from data. DASHbay’s products and services leverage commercial and open-source BI tools, cloud deployments, and agile development methods to rapidly create information solutions for our clients. We turn data into business value. And we do it quickly. We use cloud-based computing resources when appropriate. Some deployments are entirely cloud-based; others entirely in your data center. Others are a hybrid of the two. Your requirements dictate the mix. 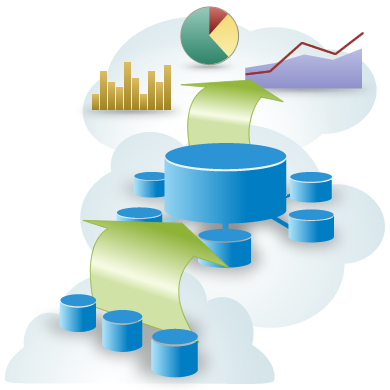 Among our tools of choice are open source BI, database, and data management technologies. We can help keep your costs down. We take data security seriously. We encrypt data before we move it through public networks. We build solutions that provide controlled end-user access to data. And we secure stored data a variety of ways, for redundant protection. Talk to us about your needs: let’s work together to increase the value of your business.